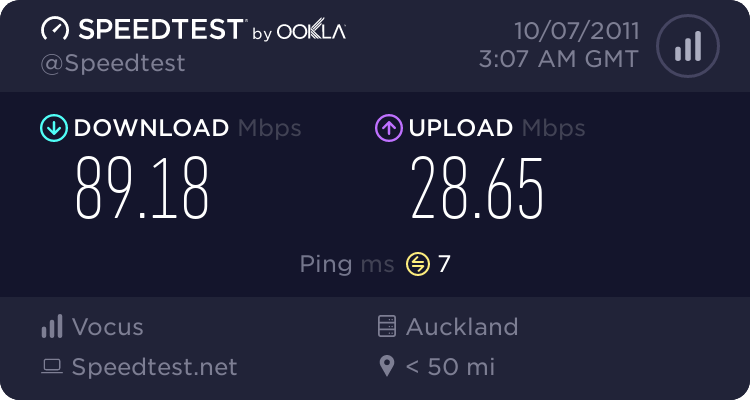 jarledb: But what is this thing about increasing your speed when you get to a passing lane here in NZ? People will be cruising at 90 Km/h on the single lane and when they get to a passing lane stretch they are suddenly increasing their speed well over 100 Km/h. I prefer to slow down to 90 k or so to allow people who want to pass the opportunity to do so. +10 Km/h higher than actual speed is pretty standard for Toyotas. Pretty stupid if you ask me. I have actually asked a Toyota dealership if it was possible to have it corrected and was told thats how it was supposed to be. I've driven in many places all around the world - and, there are bad drivers everywhere. I don't think NZ is particularly worse than elsewhere. Although, our speed limits are a bit higher for the equivalent road types overseas though. Many of our national highways would only be rated for 80kph in the UK for example. But, we are a poor country scratching out a living out by raising cows so I guess we can't afford better roads. My last Ducati was 8%, stated in the manual. The new one is 5%. Well people here are - stock everything and then SuperCat tyres. NZ would probably try to do 140 around the curve. Get that all out of a Corolla 1.6/2.0 and reve the heck of it out. DarthKermit: Correct me if I'm wrong, but I seem to recall that back in the 1970s(?) NZ's national speed limit was raised from 80 km/hr to 100; without any improvements to the roading network. wasn't as long ago as that . . . . more like the late eighties. The justification for the increase at the time was an increase in car safety. KiwiNZ: A bad idea for NZ given our poor road maintainence, ageing automobile fleet, bad driver training and immature driver attitudes. If the limit was increased to say 130kmh drivers will have tantrums because they feel they should be allowed to drive at 140kmh. I believe that in a lot of situations the speed limits should be reduced, eg in cities to 30kmh and on many open roads 80kmh eg Rimutaka Hill road north of Wellington. I care little for increasing the 100km/h zones, going 120km/h doesn't make a huge difference in time saved unless you're driving seriously long distance, and NZ drivers have proved time and time again that they can't even do 100 unless in a passing lane. I'd be more inclined to increase semi-urban roads from 50/60 to 70/80 as 50 was the speed suited to the cars of the time when those numbers were picked. My new car can drop anchor pretty darn quickly, my only fear is the car behind not being able to do the same. With ABS + ESP etc it's fairly safe to go a little faster in these roads where there aren't many people walking. We have 4.4million people in a country the size of the uk. What do you people expect? Our govt to bankrupt us so we can have safer roads that no one uses? It will cost 1.5m per km to make highways like SH1 slightly safer. SteveON: We have 4.4million people in a country the size of the uk. What do you people expect? Our govt to bankrupt us so we can have safer roads that no one uses? It will cost 1.5m per km to make highways like SH1 slightly safer. Thst is whybthe speed limit should not be increased and in many places reduced. I'm broadly happy with the limits where they are - although a higher limit would be nice in places, the reality is that many of out highways and drivers aren't up to higher speeds. I would also be keen on the Police getting a way of testing for drivers under the influence of drugs, and treating them the same as drunk drivers. I would also be very keen on drastically higher penalties for repeat drunk drivers. However, I am slightly grumpy about the way the Police are going about enforcing other aspects of the system - where it seems to be more about revenue maximisation rather than safety. Placing speed traps where they are likely to catch the most people rather than places where speed is a particular safety issue springs to mind. A couple of years ago I even say one clown set up with his speed gun *on* a long-ish motorway off ramp. If the traffic was heavy then braking hard enough to get from 100Km/h leaving the motorway down to 50 Km/h where he was would have meant an almost certain rear-ending. Also, dropping the tolerance from 10km/h to 4km/h seems a bit like revenue gathering and PR grandstanding, rather than a serious safety thing. 4 Km/h is within the calibration error of most speedometers, means almost constant attention to the speedometer (instead of the traffic around you! ), and braking whenever you hit a slight downhill gradient (which is bad for fuel economy). I'm all for throwing the book at drivers who are driving at seriously excessive speed. However, I wish they would also be more willing to ticket excessively slow drivers - who also cause major safety issues.